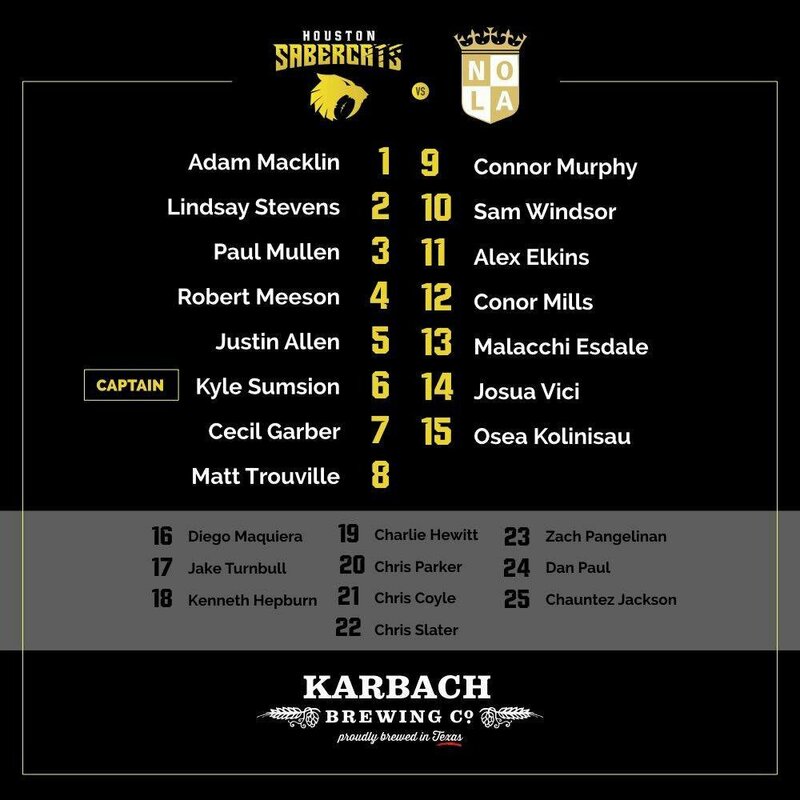 In the first ever match up between Major League Rugby teams, NOLA Gold Rugby headed to Houston to take on the SaberCats. In a good match, the SaberCats lead the whole way and won 30-12. Sam Windsor attempted to put the first points on the board for the SaberCats, but he just pushed it wide. NOLA's penalty issues from their match against the Capital Selects reared their head early as they were called for a couple penalties. Luckily, it didn't cost them early as Windsor missed both of his penalty kicks. Osea Kolinisau puts the first points on the board for the SaberCats. After a clearance kick from NOLA, the SaberCats quickly got the lineout down and to Josua Vici who broke through the Gold's defense. After being stopped short, the SaberCats got the ball wide to Kolinisau who dotted down for the try. The SaberCats blitz defense gave the Gold pressure all night. NOLA had multiple handling errors throughout this match. An attempted intercept by Zack Stryffeler that resulted in an intentional knock on call extended the SaberCats lead with a converted penalty kick. The Windsor-Esdale connection once again reared its head. Malacchi Esdale was able to tap Windsor's cross field kick back to Alex Elkins who rumbled down the field and ran over Sebastian Kalm. Elkins was brought down 10 meters short and Esdale was able to pick it up and get it down for the try. Windsor with the conversion to put the SaberCats up 15-0. Vince Jobo got NOLA Gold on the board. After a lineout maul that rolled a good distance, Jobo dotted to give NOLA Gold their first points. JP Eloff with the conversion to make the halftime score 15-7. A good half from both teams. Both teams had some issues that they need to work on though. Some missed chances from both teams. This game could have had a bigger score line at the half, but small errors kept it down. Esdale got the scoring started in the second half. 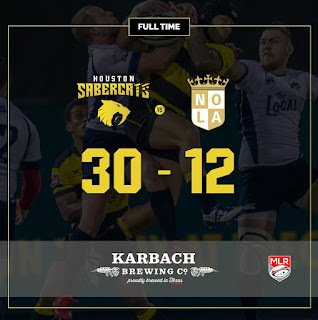 After earning a scrum, the SaberCats were able to catch NOLA flat-footed and usually sure-footed Sebastian Kalm got his feet tangled. The SaberCats got the ball wide and Esdale got around five defenders and dotted down for the try. Conversion just wide. Sam Windsor added another 3 points to put the SaberCats up 23-7. After a knock on from Alex Elkins, the SaberCats were able to turn the ball over and earn a penalty in front of the posts. Elkins just joined Houston this week, so it will take little time for him to get adjusted. Eric Howard had an easy try for NOLA. 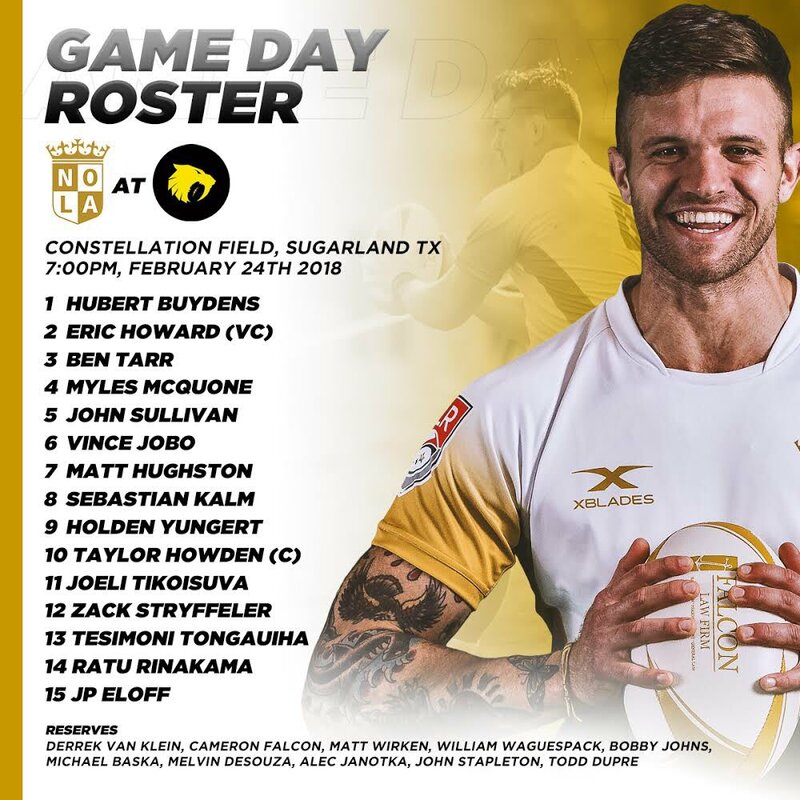 After Ratu Rinakama stepped into touch just before he could score his own try, Howard had the SaberCats lineout basically fall into his hands and he stepped in for the try. Eloff's conversion was just wide. NOLA had a great opportunity to score. They were inside the SaberCats five meter line and were held up after a couple pick and drives. After a five meter scrum NOLA got the ball wide to Bobby Johns before he knocked it on. However it was called back for hands in the scrum, an unfortunate error from NOLA. Sam Windsor extended the the SaberCats lead. After a chip kick from Connor Murphy, Windsor raced up, grabbed the ball, and dotted down for the try. Windsor with his own conversion to extend the SaberCats lead 30-12. And that ended up being the final score. This was a good historic first match. Some open, fast-paced, flowing play. That will be great for the fans, both current and new. Houston didn't have that drop off in the second half they have had in earlier preseason matches. NOLA has to fix the handling errors. If they don't, it is going to be a long season for the Gold. 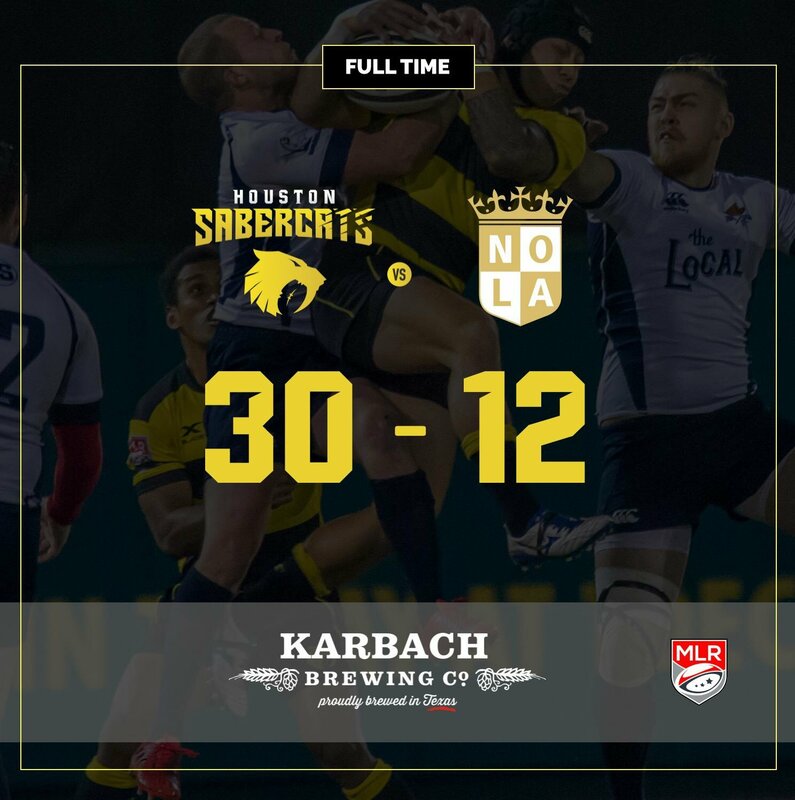 Next up, the Houston SaberCats take on the Ontario Arrows on March 3rd. NOLA Gold has a week off before they head to Glendale to take on the Raptors.